Today I went out for a tempo ride with hard efforts on the rollers. 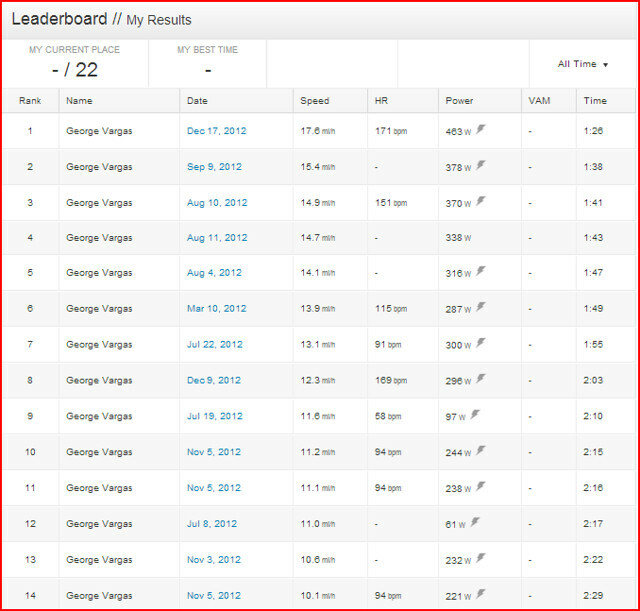 There is a Strava segment on the way home. It’s actually the last hill of the ride for me. I felt pretty good so I went for it. 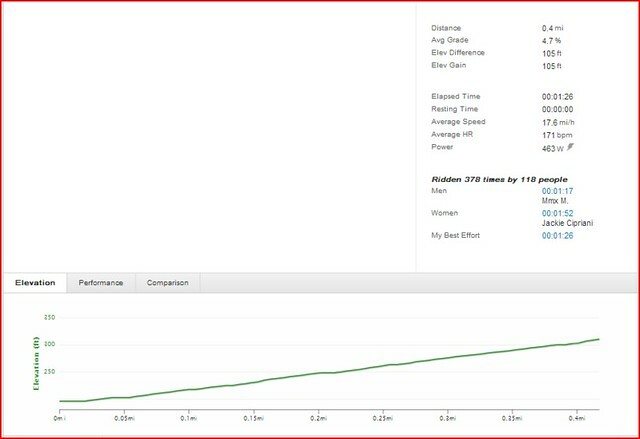 My previous best on this hill was 1:38 so when I looked at my Garmin and saw 1:26 I knew I had set a PR and thought I had actually scored a KOM as well. The time I had been chasing was 1:33 and I knew I had beat it. 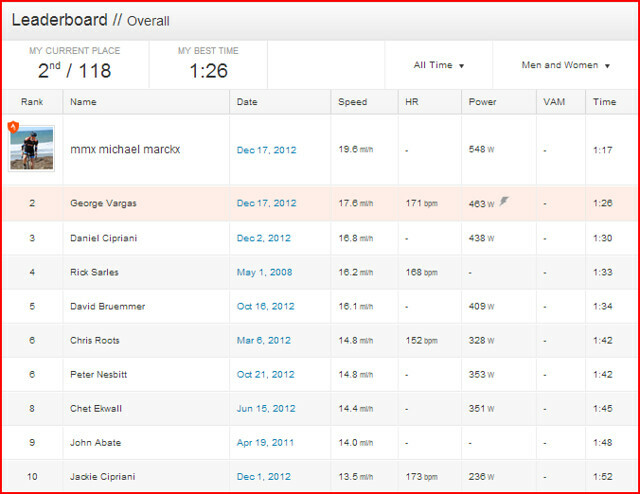 But wouldn’t you know it on the same day that I set the KOM another rider beat it. Since I have blog followers who train with power I thought I would put up a graph and just highlight a few things. I’m proud of my little PR moment especially since it came a day after a 5 hour century effort yesterday on the tandem. This entry was posted in personal records, Strava by REV Cycling Directeur Sportif. Bookmark the permalink.